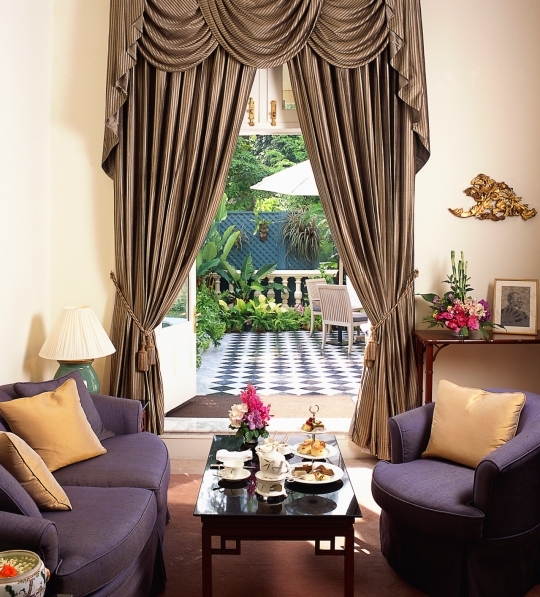 The Mandarin Oriental takes you on a journey back in time to the British Colonial era with its style and impeccable service. 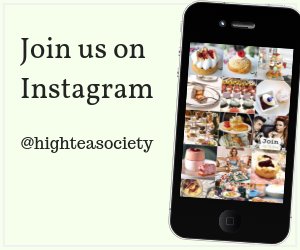 We asked our followers where we should go for high tea in Bangkok and the number one response was the Mandarin Oriental – and now we know why. The Mandarin Oriental takes you on a journey back in time to the British Colonial era with its style and impeccable service. 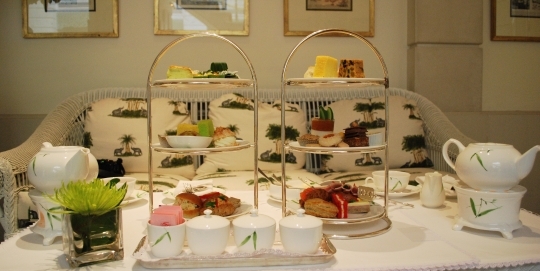 Served in the Author’s Lounge (named after the many famous writers who have stayed at the hotel) afternoon tea is a classic experience. 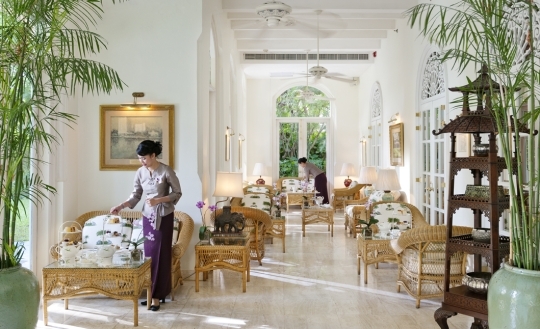 The lounge is decorated with white-washed rattan furniture, Siamese umbrellas and palm trees. 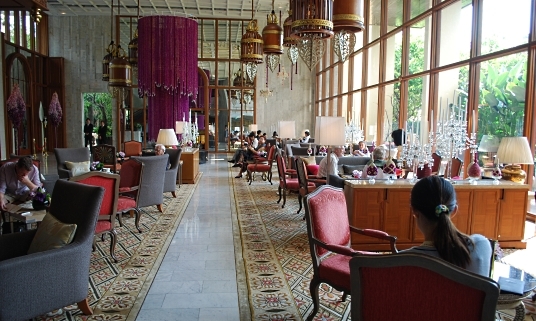 The lounge is located in a building that formed part of The Oriental Hotel, the first hotel built in Thailand which opened in 1879. 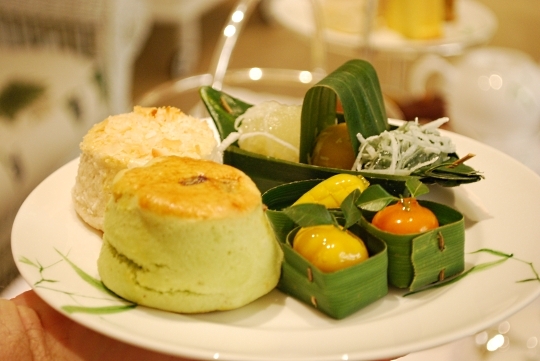 You have the choice of ordering either the Traditional Afternoon Tea Set or the Mandarin Oriental Thai Set. 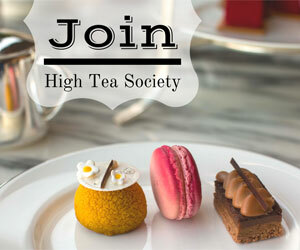 We tried both menus and would suggest the Thai Tea Set as there are some unique Thai desserts to try. 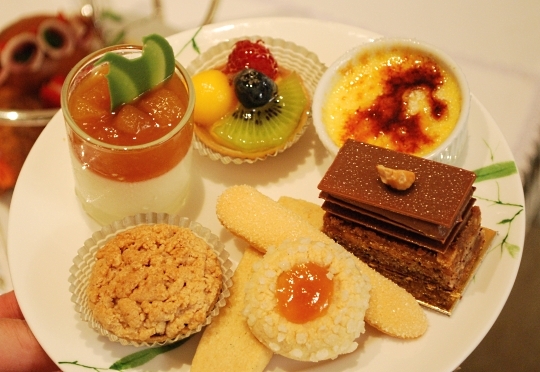 In the Traditional Tea set the cream brulee and the macarons are the stand out items. 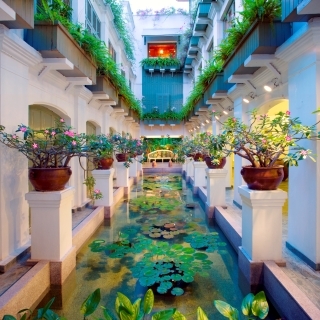 If you’re looking for a special place to stay in Bangkok, The Mandarin Oriental is an award winning and unique hotel experience. The hotel is positioned on the banks of the Chao Phraya River, across the river the hotel has a restaurant, Spa and Thai Cooking School. Getting there is easy as the hotel has a complimentary boat to ferry you across. 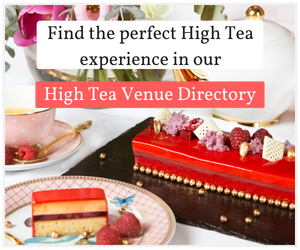 It’s not just high tea on the menu, but there are nine outstanding restaurants and bars as well. 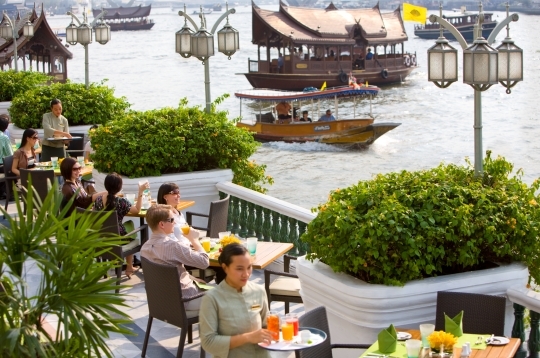 The Riverside Terrace provides alfresco dining with one of the best views in Bangkok. 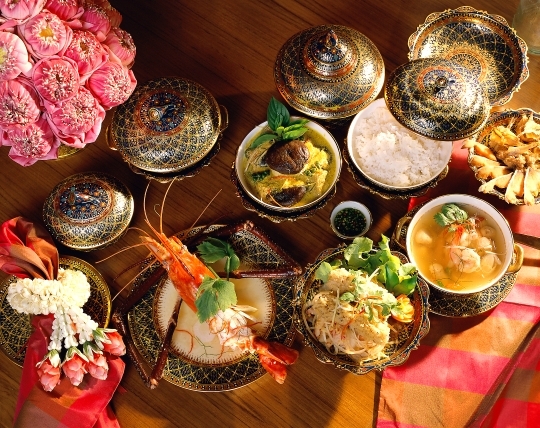 Sala Rim Naam located across the river from the hotel offers traditional Thai cuisine with a classical Thai dance show every night. 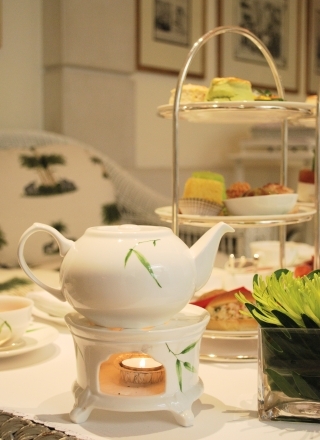 The Mandarin Oriental is classic and beautiful setting for afternoon tea. 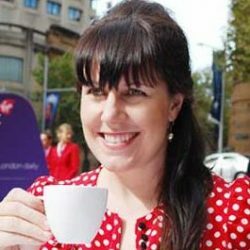 Make sure you book in advance as the Author’s Lounge can be closed for private functions, in this case afternoon tea is served in the stunning hotel lobby. 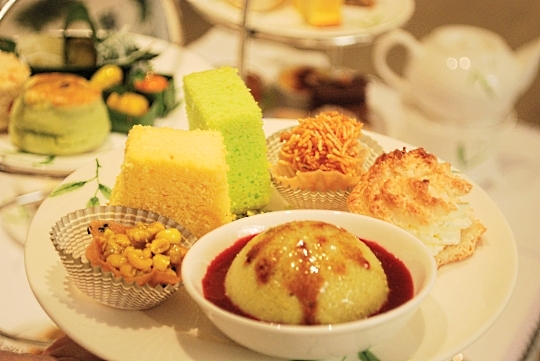 Afternoon tea at the Mandarin Oriental is a unique experience and a must for any lover of high tea while in Bangkok.